Bayern Munich are finally ready to make their squad younger. After years and years of keeping up with Arjen Robben and Franck Ribery as their main go-to guys, with Thomas Muller and others also ageing, the club is prepared to move away from their stars and start making the team younger and more dangerous. 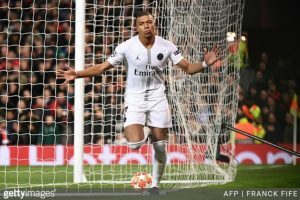 Bayern president Uli Hoeness shares that view as well, but considering which players the club could buy, he admitted the Bavarians simply could not sign Kylian Mbappe. Hoeness said he would love to get the Frenchman in his team, but that they could not afford the PSG star.